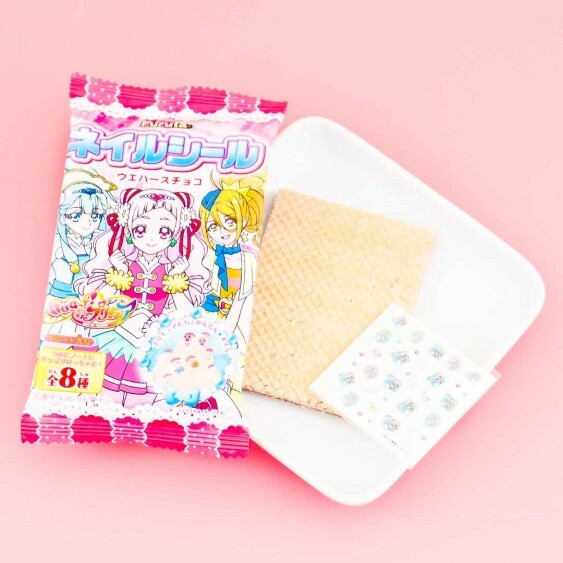 Have a bite of a delicious wafer with your cute Pretty Cure friends! 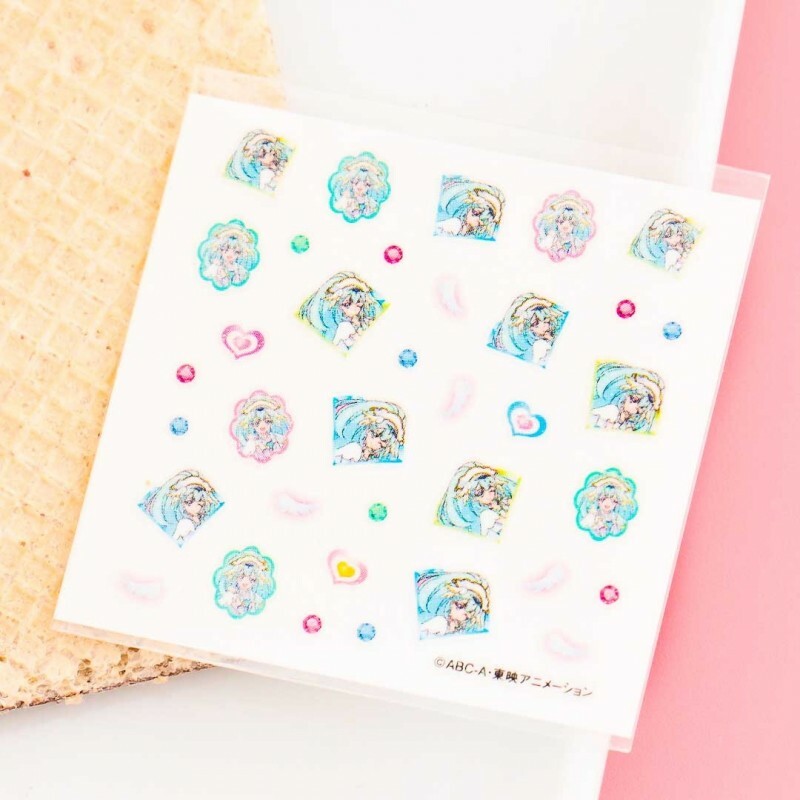 The package includes a deliciously thin wafer with chocolate filling and PreCure nail stickers! There's a total of 8 different kind of magical PreCure nail stickers so it's always exciting to open the package and see which one you'll get. Decorate your nail with cute ladies of Pretty Cure and collect all the stickers while enjoying the sweet chocolate wafer! Yum!